Spirit Cruises of Baltimore is a wonderful way to enjoy lively entertainment and a delicious meal while viewing the sites that surround the Inner Harbor. You can experience live performances and a variety of musical selections from Baltimore’s rising stars and top DJs. The multi-hour tour around the city’s historic seaport enables you to view numerous local landmarks, such as the National Aquarium, the USS Constellation and the Chesapeake Lightship. Planning a cruise on Spirit? No coupon code needed! 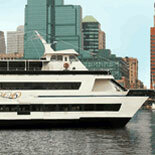 Simply visit: Spirit Dinner Cruise of Baltimore– Tickets are already discounted! Notable neighborhoods along the route include Canton, Fells Point and Federal Hill. Canton is home to Maryland’s Korean War Memorial and waterfront residences constructed during the Civil War. Fell’s Point has served as the setting for films and television shows, such as Homicide: Life on the Street. The pedestrian friendly neighborhood has received national recognition for its amenities and preservation efforts. Federal Hill was named to commemorate the celebrations that occurred on the site when the U.S. Constitution was ratified. There are several cruises from which to choose. You can enjoy a leisurely lunch, a special dinner or a romantic midnight cruise with the spectacular cityscape and harbor as your backdrop. The wide variety of options includes gospel, jazz, full moon and other special themed cruises. The two enclosed, climate-controlled decks enable Spirit Cruises of Baltimore to sail all year regardless of weather. The vessel’s panoramic windows and open-air upper deck provide passengers with spectacular views of the Charm City skyline. The onboard executive chef and talented culinary staff prepare a buffet that features a wide assortment of menu items, including delectable desserts. With prior notice, they can customize dishes for passengers with allergies or accommodate requests like vegetarian or kosher meals. Spirit Cruises of Baltimore is the ideal way to celebrate special events, such as graduations, weddings, anniversaries, birthday parties, showers, promotions and holidays.